A photo essay by Lulu Ash, Commissioned and curated by FotoDocument. FotoDocument is a unique arts education social enterprise providing an international public platform for world-class documentary photography which highlights positive solutions to global issues. FotoDocument commissions documentary photographers worldwide to produce photo essays on social and environmental issues to bring visibility to inspiring global initiatives as a force for potential change. Lulu Ash is an emerging British photographer who graduated with a BA Hons in Photography from University College Falmouth in 2009. Since then she has documented traveller communities living in rural poverty on the fringes of society in the UK and she has worked as staff photographer for Westcountry Photographers. For her current commission with FotoDocument, Lulu has documented community food production in London and Havana. In London, photographer Lulu Ash, has documented Capital Growth, a food growing initiative to create 2,012 new community food growing spaces across the capital by the end of 2012. Capital Growth is a partnership initiative between London Food Link, the Mayor of London Boris Johnson, and the Big Lottery’s Local Food Fund and is championed by the Chair of the London Food Board, Rosie Boycott. Lulu’s photo essay documents a number of the growing spaces featured in the Capital Growth project revealing a local food movement in Britain working to create practical solutions to the issues of peak oil and food security. Many of the growing spaces, previously plots of derelict land, have provided benefits in health, safety, community cohesion and employment. Many use permaculture principles and focus on biodiversity which provide wider environmental benefits. 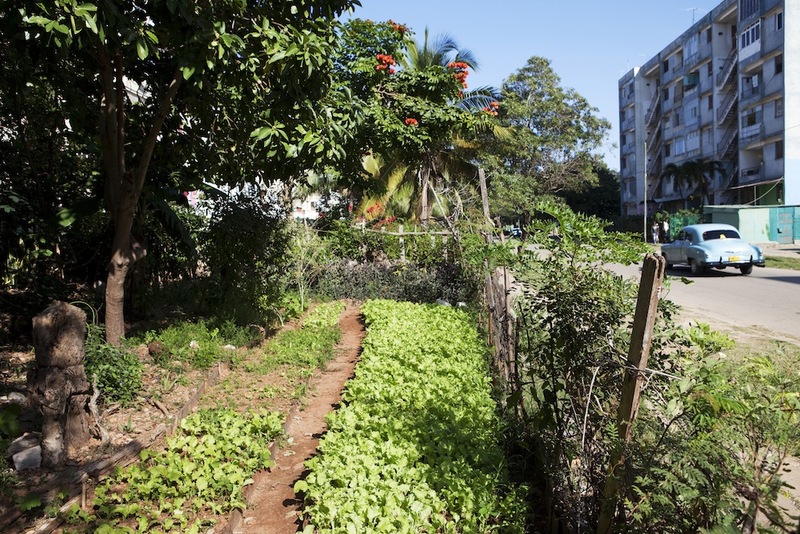 In Havana, Lulu has documented the organoponicos, thriving organic community growing spaces in Cuba. Cuba is at the forefront of sustainable agriculture having transformed from a fossil fuel agricultural system to an organic local food production system in just a few years due to an acute food crisis. When the Soviet Union collapsed in 1989 and with the continuing US embargos, Cuba lost its oil supply and entered into severe economic crisis. Their highly mechanised single crop agricultural system relied heavily on imported chemical based pesticides and fertilisers. With few available imports, the Cuban government had to mobilise domestic resources to avoid mass starvation. Lulu’s photo essay documents the transition of derelict urban spaces into organoponicos. The organoponicos produce four million tons of produce every year, making the country 90% self sufficient in fruit and vegetables and provide employment to thousands of local people. Lulu’s photo essay combines urban landscapes, intimate portraits and farming in action and shows the benefits to health, environment and community in Havana. 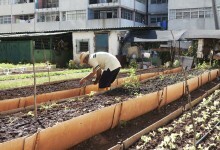 Image: Lulu Ash, Urban Farming in London and Havana. © Lulu Ash/Fotodocument.